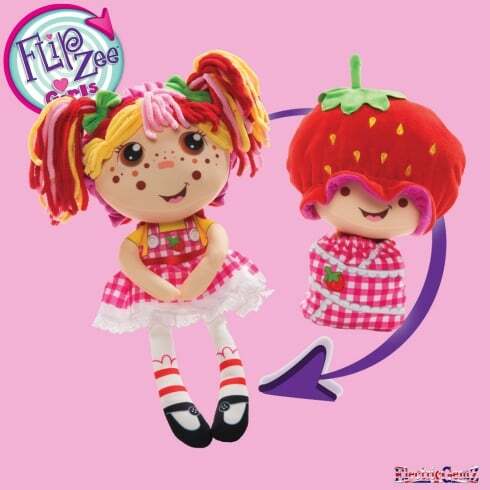 Flip Zana’s bonnet and swaddle to transform her from baby to girl. 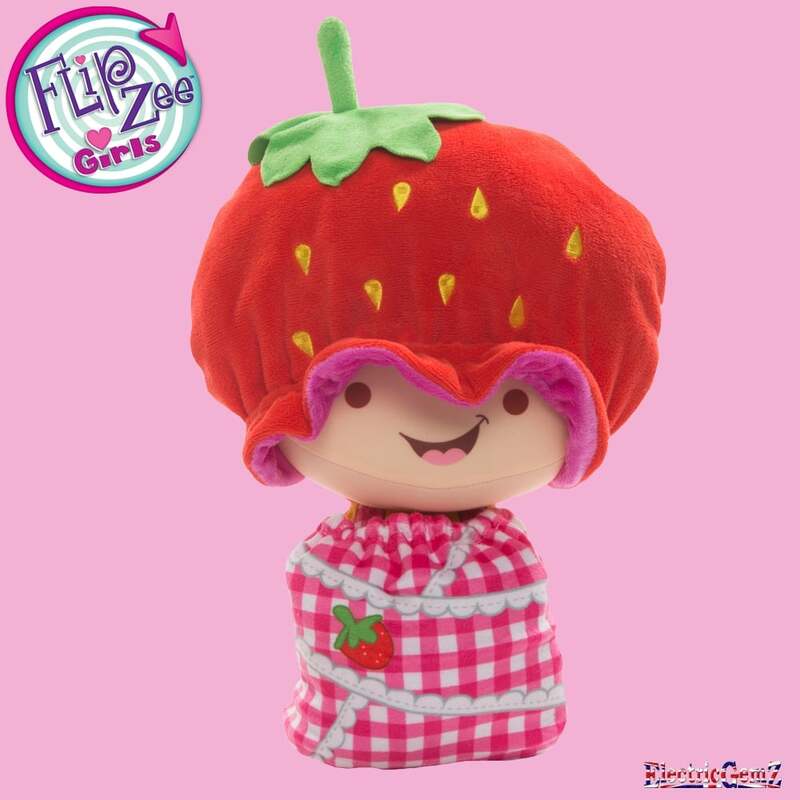 Baby Zana has a strawberry-like bonnet, and a checkered swaddle. Suitable for ages 4+, Girl Zana has a checkered dress with silky-feel skirt, and her colourful, soft hair is styled in bunches. We have the full range at ElectricGemZ. 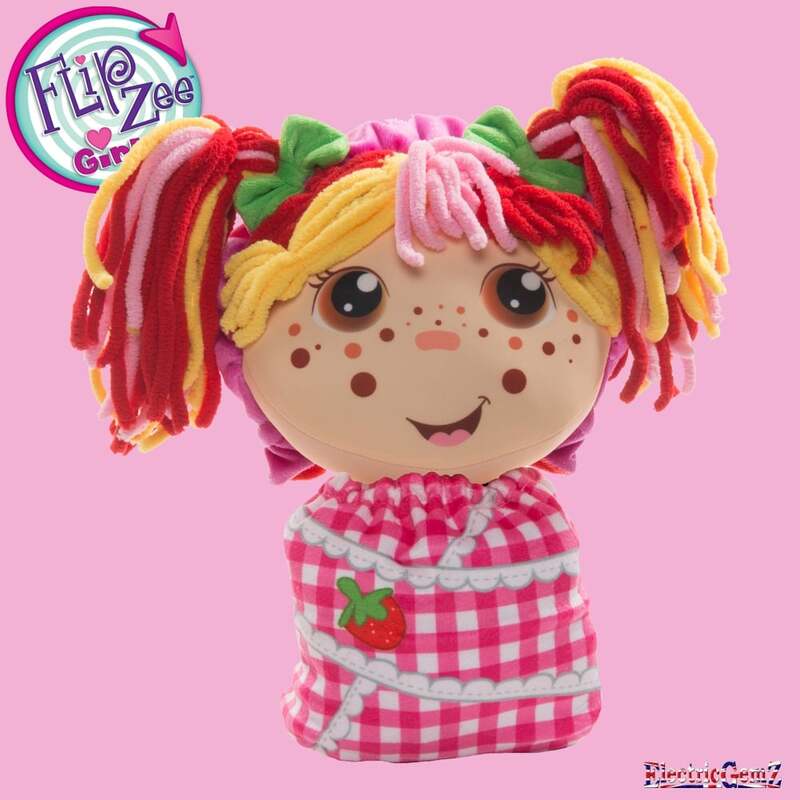 Search in the box above for FlipZee Girls.